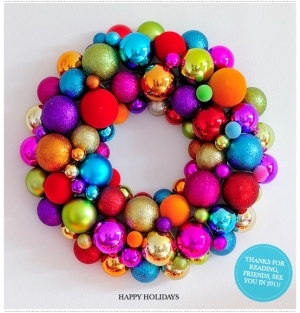 Juneberry Lane: Tutorial Tuesday: Handmade Holiday Ornament Wreaths . 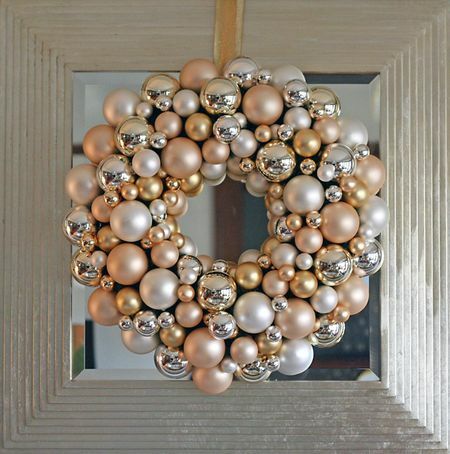 . .
Tutorial Tuesday: Handmade Holiday Ornament Wreaths . 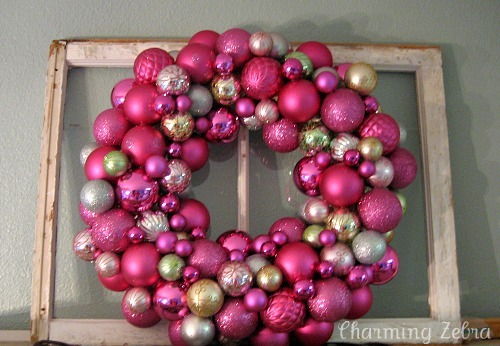 . .
You know me, I am all about glitter & sparkle when it comes to holiday decorating! 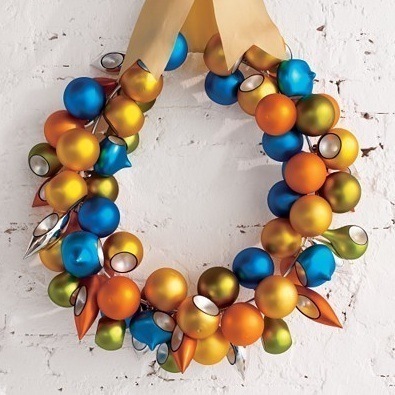 Need a fun & easy craft to help you feel artsy and add some shine to your season? 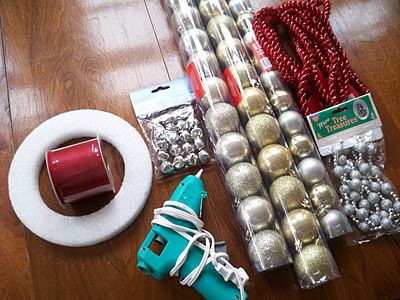 Why not head to Target for a big $15 box of shatterproof ornaments, then set to work with your glue gun and styrofoam circle and create something purely magical to greet your guests at the front the door?! 1.) 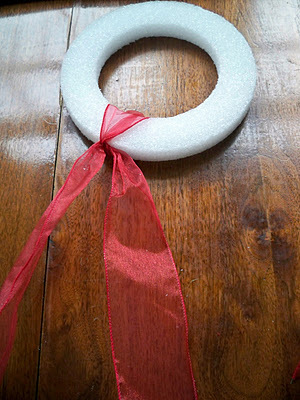 First start by attaching a lengthy ribbon to the Styrofoam donut. 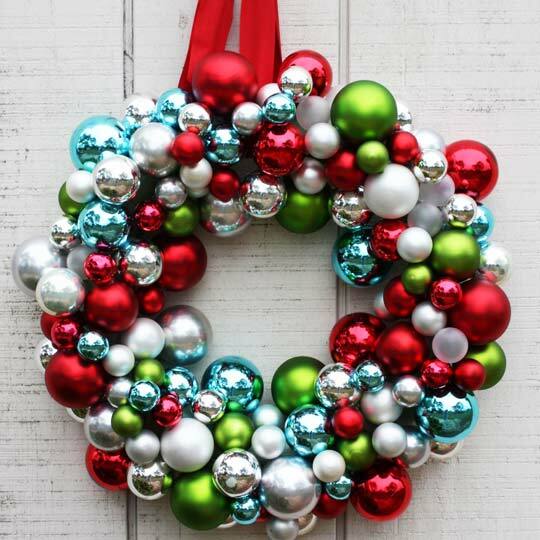 This will be where your wreath will hang. 2.) 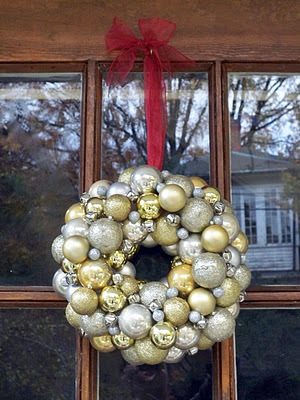 Line the inside and outside with ornaments. 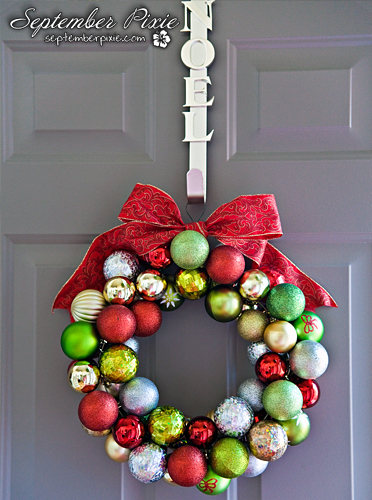 I took the hook piece off the top of the ornament and placed them hole side up, so this will be the back of the wreath. 3.) 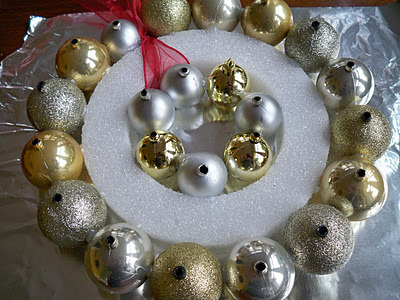 Flip it over when it dries and start piling the rest of the ornaments on, leaving the smaller pieces for last. 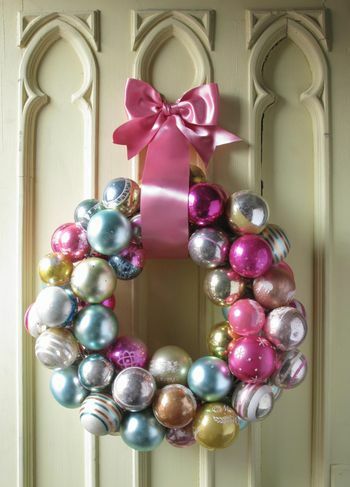 When you're satisfied and the larger spaces are filled, make a pretty bow with the ribbon and hang on the front door! It would also be fun to put a little mistletoe in there somewhere.. if you're into that kind of thing. 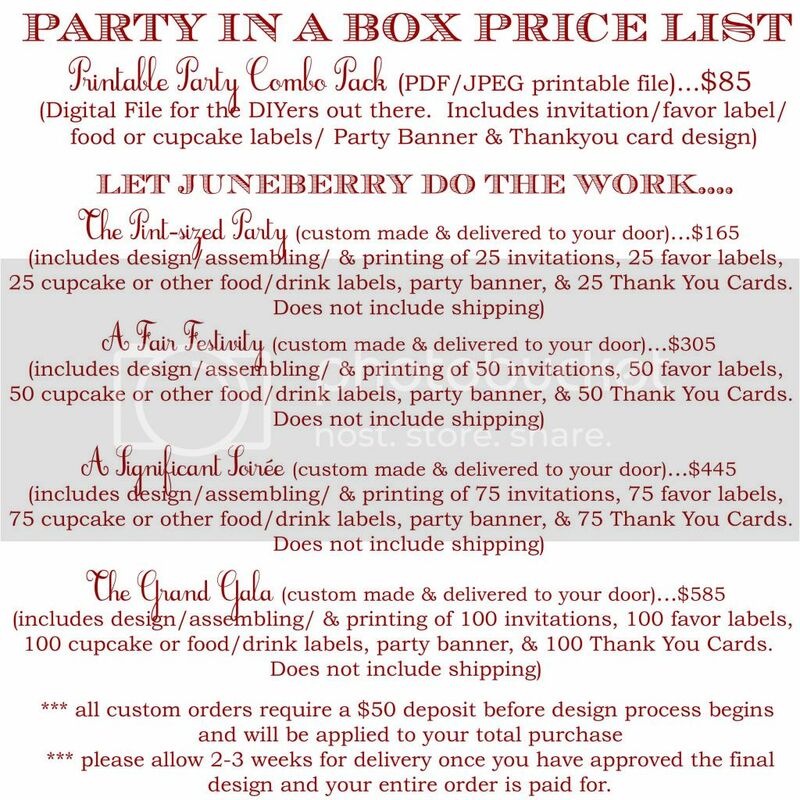 So fancy, right? 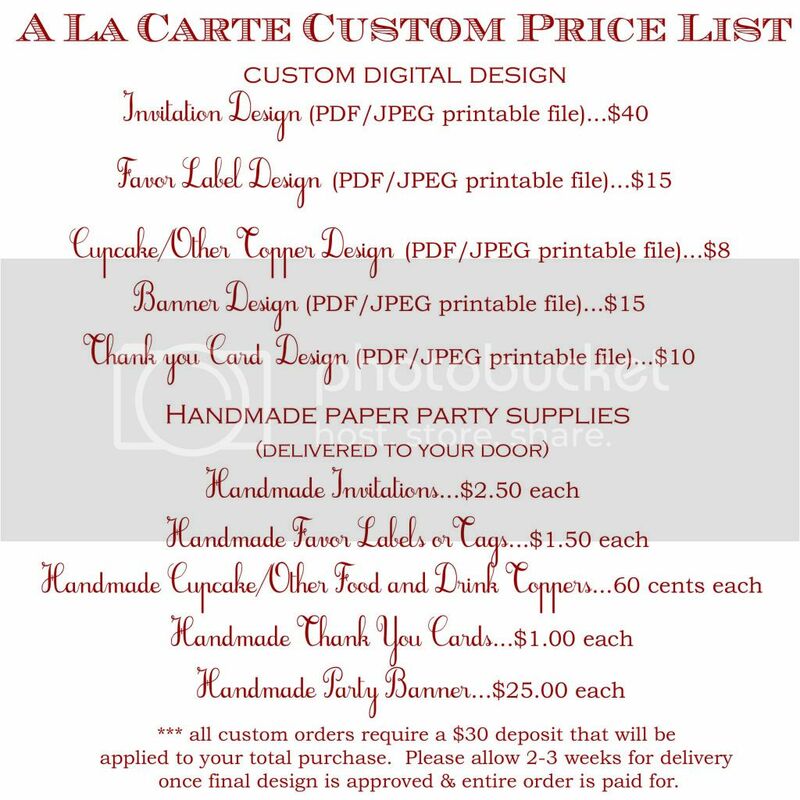 And just so darn simple as well...wouldn't these make lovely gifts for teachers, neighbors, and friends too?